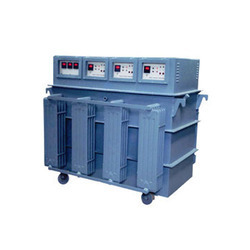 Pioneers in the industry, we offer automatic voltage stabilizers, servo stabilizers 5kva normal range 170v-270v, three phase servo voltage stabilizers, servo stabilizer 5kva wide range 100v-270v, stabilizer and oil cooled servo voltage stabilizer from India. 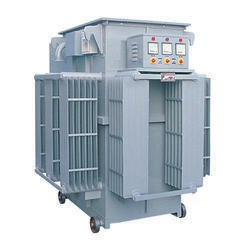 We are leading Supplier and Manufacturer of Automatic voltage transformer uses a tank circuit composed of a high-voltage resonant winding and a capacitor to produce a nearly constant average output with a varying input. The ferromagnetic approach is attractive due to its lack of active components, relying on the square loop saturation characteristics of the tank circuit to absorb variations in average input voltage. Older designs of ferromagnetic transformers had an output with high harmonic content, leading to a distorted output waveform. Modern devices are used to construct a perfect sine wave. 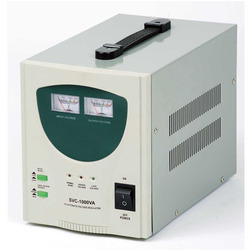 The ferromagnetic action is a flux limiter rather than a voltage regulator, but with a fixed supply frequency it can maintain an almost constant average output voltage even as the input voltage varies widely. Backed by a team of professionals, we are engaged in offering an optimum quality range of Servo Stabilizers to our prestigious clients. This is designed by our professionals using optimum quality components and cutting-edge technology as per set industry norms. The offered range is stringently tested by our quality controllers in order to deliver defect free range at clients end. Moreover, clients can avail the offered range from us at highly affordable prices within given time frame. 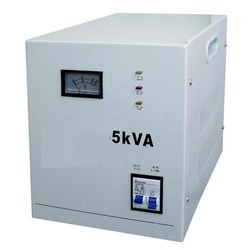 We are Kongu Engineers leading manufacturer and supplier of Voltage Stabilizers in Chennai South Tamilnadu are used to protect any critical equipment, which are effected by the fluctuation in the input supply and those equipments do not operate when they are not used at the specified voltage. Our Stabilizers by providing constant output with tolerance of +/-1% makes equipments operate efficiently and hence improve their life. Also protect from being damaged due to high and low voltage. 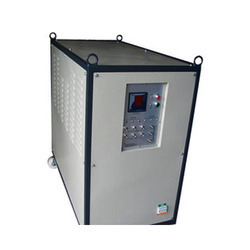 We Leading Supplier and Manufacture of oil cooled servo stabilizers are used to protect any critical equipment, which are effected by the fluctuation in the input supply and those equipments do not operate when they are not used at the specified voltage. Our Servo Stabilizers by providing constant output with tolerance of +/-1% makes equipments operate efficiently and hence improve their life. Also protect from being damaged due to high and low voltage. 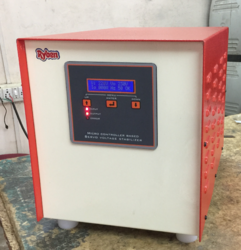 With the help of our professionals, We have been able to offer our clients qualitative range of Air Cooled Servo Stabilizer. 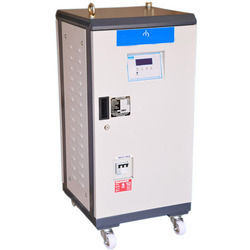 The offered Servo Voltage Stabilizer is manufactured by our adroit professionals using the finest quality components and sophisticated technology. The provided Air Cooled Servo Stabilizer uses an advance electronic controlled servo motor concept to govern a motorized variable transformer. 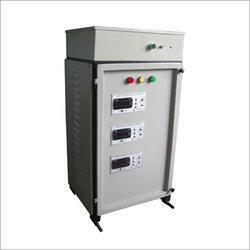 Moreover, our customers can avail this Servo Stabilizer from us in different specifications. 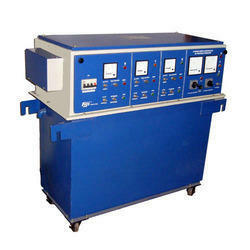 We are instrumental in offering finest quality Oil Cooled Voltage Stabilizer to our valuable clients. Our provided voltage stabilizer is manufactured using optimum quality components and innovative technology in sync with industry norms. 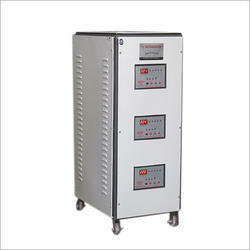 The provided servo voltage stabilizer is tested against different quality measures so as to ensure its quality. 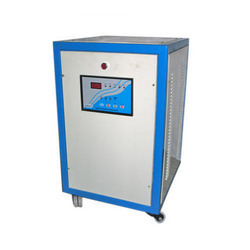 The offered Oil Cooled Voltage Stabilizer consists of three single phase units of one third capacities each connected in a Star. Looking for Servo Stabilizers ?